Advances in the manufacture of traditional style ropes from synthetic materials mean we can supply a manila or hemp look-alike that not only looks and feels like its natural forbear, but smells like it as well! These ropes have all the qualities of the natural fibre but resist rot and moisture and don’t degrade through UV exposure. For the purist we can still source traditional hemp, coir, manila and sisal ropes. Must be very flexible to go over sheaves and through pulley blocks. 7 bunches of 19 strands. Due the flexible nature of this wire it is not possible for it to be heavily galvanised. 7 bunches of 19 strands. Hempex has the appearance and feel of a natural hemp but is made from polypropylene, is stronger than hemp and does not rot. 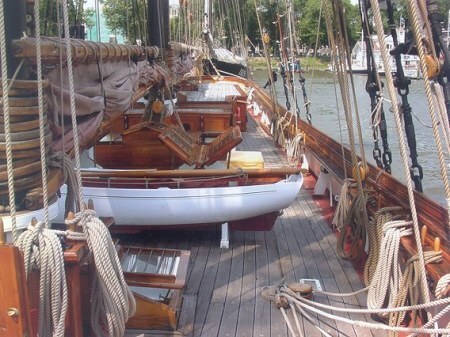 It is widely used on traditional sailing craft. We supply 4-strand Hempex by the metre or in 220 metre coils. Greater savings can be made by buying complete coils. 3-strand is also available on request. Ideal for traditional boats, 16-plait matt classic is a top quality cruising sheet which combines the strength of a polyester core with the soft, good handling characteristics of a matt polyester outer sheath. It is suitable for sheets or halyards and can be supplied by the metre or, for greater economy, in 100 metre coils. We can supply 2, 3, & 4 strand balls of tarred spunyarn. Light, medium and heavy tarred and polished yacht marline can also be supplied by the ball or the spool.